Defrauding property owners through government property auctions, which is currently charged as felony fraud, will also be its own separate felony category if a bill approved in committee is enacted into law. 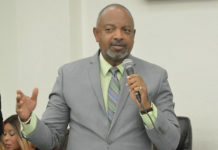 The bill sponsored by Sen. Marvin Blyden would change a section of law regarding property tax auctions and public sewer system user fee auctions that penalizes a lieutenant governor or other persons responsible for improperly auctioning real property, making it a felony. It also adds a subsection that prohibits anyone from making any regulatory changes or procedural changes that reduce the rights of property owners. 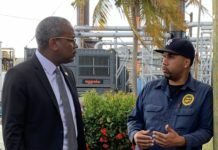 “The intent of this legislation is to make sure and assure that any government employee who works at the Lieutenant Governor’s Office won’t even think about manipulating or scheming to take away anyone’s property,” Blyden said. It was prompted by highly publicized alleged malfeasance in property auctions in 2012 and 2013 that resulted in four people being arrested and charged with felony fraud in 2015. (See Related Links below. Attorney General Claude Walker testified in support of the measure but also said the acts in question were already crimes. 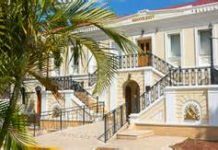 “I understand this bill comes in the wake of recent arrests by the Virgin Islands Department of Justice as well as the inspector general’s audit report that made some very troubling and disturbing findings concerning the manner in which property auctions had been conducted in the past throughout the territory,” Walker said. Sen. Terrence "Positive" Nelson asked Walker, "Is this needed to strengthen the law or is this not really necessary?" Walker said, "It is not something we object to. It adds to the tools that we have." Nelson asked, "If somebody manipulates the process, no matter how we slice it, it is fraud, and fraud is already a felony?" "Yes," Walker said, adding that "it depends on the amount," and if the amount of money involved is greater than $100, fraud is a felony in the Virgin Islands. Sen. Tregenza Roach said "the bill does no harm," adding that he is "not really in favor of creating new laws just because it does no harm. But he said he gets "a lot of criticism for not supporting my colleagues’ bills." Voting to send the bill out of committee for more consideration were Nelson, Roach, Sanes, Sens. Myron Jackson, Justin Harrigan and Janette Millin Young. Sen. Neville James was absent. The committee voted to hold for amendment a bill sponsored by Nelson to create a compensation committee for the judiciary and voted to hold two other bills at the discretion of the committee chair.